You are here: Home / Great Deals / April’s Trip To WalMart! 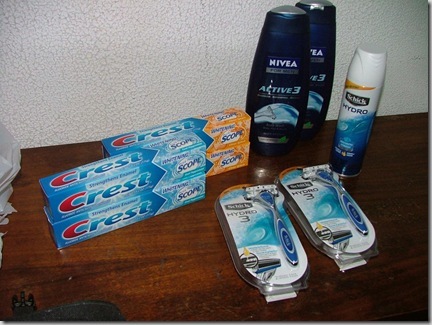 Crest toothpaste 6.4 oz $1.50 x 4 – $1 cpn x 4 ($6.00 – $4.00= $2.00 final) I got these coupons at my pediatricians office. It came with samples of the Disney princess and Disney toy story kids flossers and sample crest kids toothpaste I can take on vacation. What a great trip, April! You saved: $21!! That’s a 68% savings! Way to go!